In early February 2016, the VENUS Saanich Inlet cabled observatory celebrated ten years of continuous operation in supporting international coastal marine science. To mark this occasion, Ocean Networks Canada hosted a two-day Symposium (11-12 February 2016) at the University of Victoria (Bob Wright Centre) for the community to present past accomplishments, report on the latest results from active research (see selected bibliography), and develop future observation plans and studies in this dynamic fjord. 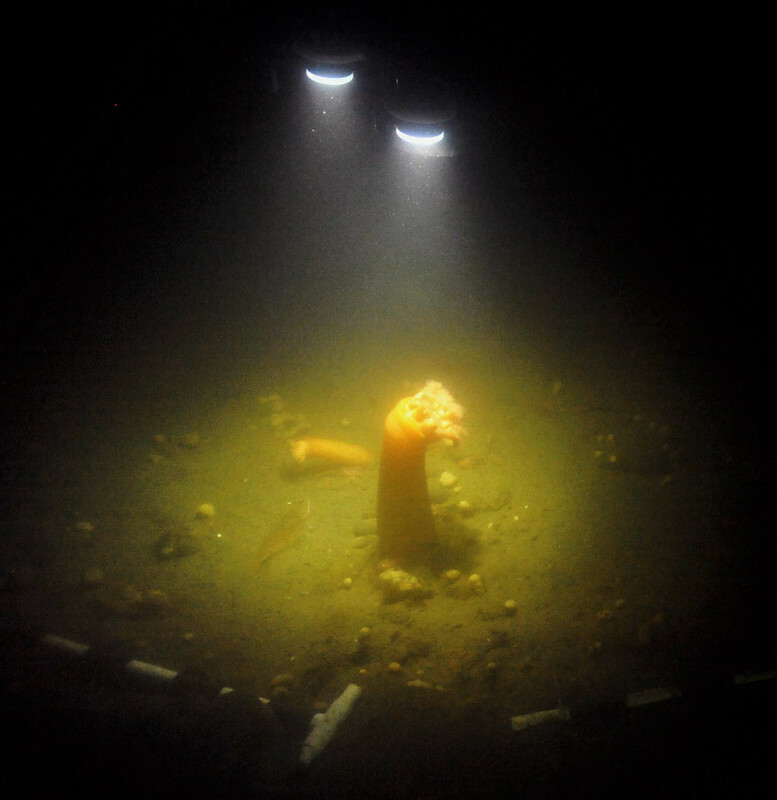 Remotely operated vehicle lights shine down on two anemones during camera installation operations in Saanich Inlet, September 2012.